It was a roller-coaster 2016-17 season for the Canadiens that though ended in a division win, felt like bitter disappointment. The head coach was fired, their franchise player did not have an MVP-like season or playoff, and speaking of playoffs…their captain went goal-less in a first-round elimination to the New York Rangers. Along came the draft, where the plan didn't deviate much in 12 months as the Habs virtually replicated their 2016 NHL Entry draft results when they added another quartet of defenseman and a pair of forwards to their prospect pool this past June. But, you can always count on a Montreal summer to fill the void as General Manager Marc Bergevin provided all the excitement one fan base needs when he pulled the trigger on another blockbuster one-for-one deal; sending top prospect defenseman Mikhail Sergachev to the Tampa Bay Lightning in exchange for the Quebec-born Jonathan Drouin. It was a jaw-dropper of a deal, and one fans should be excited about as Drouin is as gifted as a player as they come, and at just 22-years-old his best hockey is ahead of him. 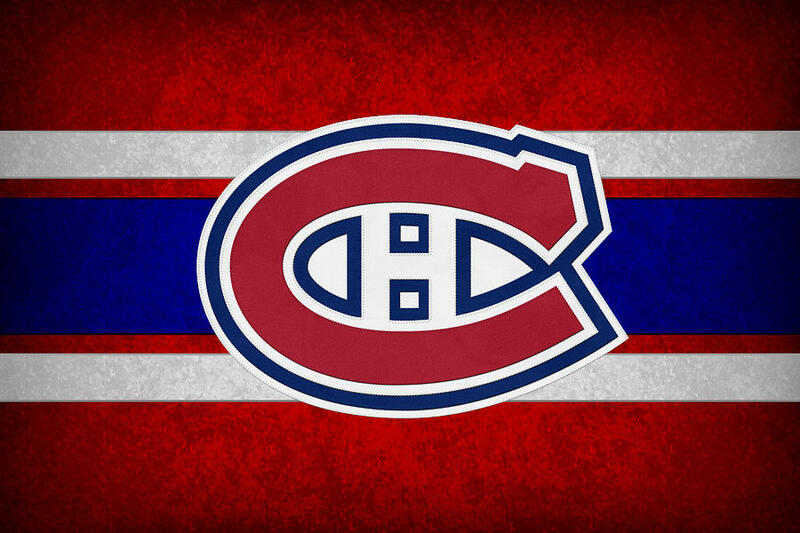 Karl Alzner, David Schlemko, Jakub Jerabek and Joe Morrow were signed to plug the holes created by the departures of Sergachev, Nathan Beaulieu, Alexei Emelin and 16-year Canadiens veteran Andrei Markov on left-defense. Ales Hemsky and a slew of depth forwards were added to replace the departed Alex Radulov on the wing, so proximate prospects like Charles Hudon, Mike McCarron and Jacob De La Rose will have their work cut-out for them in training camp. Joni Ikonen – Ikonen is the Canadiens only potential first-line level (fantasy) scorer in the mix, as his awareness and shot make his absolute ceiling the highest of the bunch. Ikonen was widely considered the best player available when Trevor Timmins selected him at #56..That being said, the recent second-rounder is at least two to three years away from making an impact in North America. Charles Hudon – Hudon will compete for a spot at training camp, though just a fourth-line role seems to be available at the moment with an abundance of checking-line talent in Montreal. He could play his way onto the squad though, as Hudon has looked good in his brief NHL appearances to date. He has dominated at the AHL level and plays a two-way game while excelling on special teams, so his chances improve under Claude Julien. Nikita Scherbak – Nikita Scherbak's potential keeps him at number three, but he is no sure thing. He showed flashes of putting it all together last year, and even netted his first career NHL goal but must be a more consistent competitor. The 21-year-old has all the tools to be a dynamic offensive producer but has a ways to go before being an NHL regular. Victor Mete – A monster 2016-17 season in London propels the 2016 fourth-rounder to fourth on this list. 44 points in 50 games including 15 goals and a plus-36 rating wasn't too shabby from an 18-year-old defenseman. Returning for his fourth and final junior season, Mete will look to be one of the CHL's top D-men again and improve his all-around game before turning pro and earning his keep as a formidable puck-mover. Noah Juulsen – Juulsen is a gritty defender who likes to throw the body, but his ability to move the puck gives him top-four potential. Juulsen can be an impactful player in multiple facets of the game, the type of player that can fit in on any team. He's not quite there yet, but a little AHL seasoning and he could be on fantasy radar in the next 24 months. Charlie Lindgren – Lindgren is a very talented goaltender, but the best goaltender in the world; one who just signed an eight-year, $84 million contract to remain in the blue-blanc-et-rouge, just happens to be ahead of him on the depth chart. For that reason; citing a trade, Lindgren's fantasy value will be capped. From another angle, Lindgren could be a steal if you stash him while Al Montoya plays out his contract, and then handcuff Price and ensure a formidable one-two punch for years. Ryan Poehling – The 2017 25th overall pick coming in at seven is no slight to his ability as a hockey player. The youngest player in the NCAA last season is at least another couple of years away from playing professionally, and though I do believe Poehling has top two center potential he doesn't project as an elite offensive producer. Michael McCarron – A fourth-line job is for the taking, but due to the fact that he is waiver exempt this year he is no shoe-in as a regular with Claude Julien's crew and remains a prospect. There is still hope for McCarron to be a contributor at the NHL level, though patience is wearing thin with the 2013 first-rounder. McCarron needs to learn how to put his 6-6 231 lb frame to use and start creating opportunities for himself and his linemates consistently. Will Bitten – Returning at nine, the diminutive Bitten has good speed and hands in tight, but separates himself with a relentless motor. Bitten will return to Hamilton for his final OHL season and attempt to surpass his career-high of 30 goals and 65 points from 2015-16 (Flint Firebirds). Having played three seasons in three different uniforms, the continuity of returning to the Bulldogs should positively impact Bitten's development. Brett Lernout – Lernout will never be a fantasy stud, but he is likely to at least double his NHL career game total this season. While the former third-round pick does have size and a heavy shot, it's the two years he's already spent in the minors and lack of youth on the Canadiens back-end that puts him on the fantasy hockey map. His arrival will be sooner than most on this list (save for Hudon and McCarron), so if you need cheap depth don't forget the name. But, his offensive upside is bleak enough to keep him at 10. Hayden Hawkey – The sixth-round (2014) pick from the USHL powerhouse Omaha Lancers impressed me from his first day at development camp three years ago, showing the moxie and athleticism required to make it to the “show.” He was a long-term project from day one (draft day), playing another year in the USHL before heading to Providence College where he rode the pine as a freshman (five games) before starring as a sophomore. Hawkey put forth a 22-12-5 record, 2.19 GAA and 0.913 SvP including three shutouts in his first season as a starter and will look to perfect his craft as he continues his collegiate career before eventually signing an NHL contract. Follow me @MikeBarrett_ on Twitter for regular hockey content from all levels of competition.